Lincoln Park is a widely popular destination for single-family home buyers in Chicago. Along with its admired north side location, Lincoln Park also sits on Chicago’s pristine lakefront and offers a number of family-friendly amenities like the Lincoln Park Zoo, plenty of park space, and some of the best schools in the city. Many Lincoln Park single-family homes sit on quiet, tree-lined streets that provide a quaint, neighborhood-like atmosphere that’s perfect for young and growing families or even professionals who prefer a bit more living and outdoor space. While many single-family homes in Lincoln Park have been converted into multi-family rentals for students and young professionals living in the area, just as many are still available in some of the best Lincoln Park location. 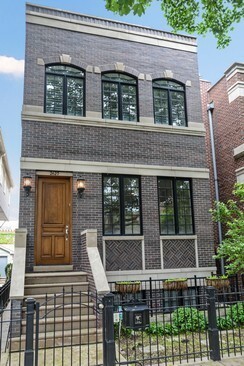 So whether it’s a Lincoln Park single-family home close to DePaul University or a Lincoln Park single-family home that offers a short walk to the CTA “L” Brown or Red Lines, plenty of options should be available that suit all your needs and wants in a fabulous new home. For more information on Lincoln Park single-family homes or to start viewing homes that are currently on the market, give Ted Guarnero a call at (312) 566-8141 today! Listing information last updated on April 21st, 2019 at 10:51am CDT.